As noted by Bloomberg, a week from tomorrow, January 4th, the U.S. Federal Trade Commission (FTC) squares off against chip maker Qualcomm in a non-jury trial. Expected to run for 10 days, the stakes are huge for Qualcomm because at issue is the company's business model. Qualcomm gets a percentage of the total sales price of each phone sold using its technology. Tech companies like Apple, Samsung and Intel argue that a phone is made up of other technology, and Qualcomm's take should be based on the price of the specific component that uses Qualcomm's intellectual property. Qualcomm allows competitors like Intel, Samsung and MediaTek to use its patents without a license since the handset manufacturers pay Qualcomm based on sales. The FTC says that this is part of Qualcomm's plans to operate as a monopoly. The FTC also accuses Qualcomm of charging Apple lower licensing fees so that the latter would exclusively use Qualcomm modem chips on iPhone models from 2011-2016. Judge Lucy Koh has already ruled that Qualcomm can't use Apple's current use of Intel modem chips to defend itself of that charge. The judge, who sat on the bench during the first Apple v. Samsung trial, also ruled that Qualcomm's patents are standard essential patents and must be licensed under Fair, Reasonable and Non-Discriminatory (FRAND) terms. Standard essential patents are those required by a manufacturer to meet certain technical standards. The FTC filed the suit in January 2017 with Apple following with its own lawsuit. In October this year, Qualcomm said that Apple owed it $7 billion in licensing fees. The disputes between the pair forced Apple to drop Qualcomm, which had split vendor duties with Intel in supplying modem chips to Apple in 2017. The 2018 iPhone models are the first by Apple to rely solely on Intel's chips. And Intel chips are awful. You get what you pay Apple. Probably my last iPhone the XS Max. Unless something radical happens. To have this price tag, you’ve got have the equivalent hardware. I recently heard from friends using older iPhones ( Qualcomm and Intel) that the latest software update created issues for the wifi/lte. My point is haters complaining about Intel chips are most of the time baseless. These are folks who show benchmarks like LTE/Wifi speed when it matters to them. A lot of my friends are using the XS and are super happy with it. So I request all the blind haters to stop supporting QC just because YOU think Apple is always wrong. The courts are the ones that will decide if Apple is wrong or not. Apple's hometown judge Lucy Koh already decided that Qualcomm is in the wrong. If you remember the last Samsung lawsuit, it was the same judge who refused most of evidence and witnesses on procedural ground crippling's Samsung's defense. We see the same in this case, already refusing to accept Apple's use on procedural ground. "FTC also accuses Qualcomm of charging Apple lower licensing fees so that the latter would exclusively use Qualcomm modem chips on iPhone models from 2011-2016." Well duh. The more years tou sign a deal for parts, the cheaper they get over tiome. How is that a monopoly. The FTC is full of BS. If a company asks me to run a a product, if they do only one year, then its expensive. A 2 year run means a lease cost because increased production drops cost over tike. For each year added you get more discount for the volume. That's not locking anyone in. Its offering you a deal to use them longer. When Apple asks a company to make parts, they will only work in an iPhone in many cases. Qualcomm offering a better deal to stay, isn't a monopolistic practice. The problem is the US Court system is Apples guard dog and now Apple likely went complaining like a little whiney coward. If QC loses, then every OEM should just not allow Apple to buy anything. Or when they ask say no. After all, no court can force you to do business with anyone. If Apple doesn't wanna pay, use someone else. “US court system is like Apple guard dog” : your hatred is disgusting. Apple has lost many cases in the US. So stop throwing random things Just’s because you badly want QC to win this case. He doesn’t want qc to win, he just wants Apple to lose. First off, it's not about win or lose it's right or wrong. If QC is wrong them they should be penalized fairly and so should Apple. When you sign a contra t you pay it. If there is an issue and you feel you need to sue, then sue. But you keep paying until the judge says you shouldn't and what damages you should get. But not before. Try that with your landlord, mortgage holder or the lienholder on your car and see what happens. Every time you or anyone like you, wanna turn this into some hate mongering, it actually shows you are the one who has and is the problem. An Apple has been using the court as its guard dog. The ITC found Apple guilty of stealing stuff from Samsung. Obama voted it. Which is why Samsung took it to the Supreme Court because only an act of Congress and reverse an order. See what your problem is Leo, you fanboys can't stand when we call out what is right. I could care less who the players are. Right is right and wrong is wrong and 2 wrongs don't make a right. If you know a person that killed someone you loved, you don't get to go kill him to make it right. Do you? If Apple is wrong, then they should pay. If QC is wrong, then they should pay. I'm not ike you bruh. I have zero allegiance to any frikkin brand. Here is a fact bruh. ALL CORPORATIONA ARE EVIL. because all they care about is the root of all evil....MONEY. They dont give a frack about me or you, so why do you always need to be on they jock? And don't say you ain't because every time someone says something you don't like, you got a problem with it I don't care what you think of me or your boyfriends either. I love tech. I'm sick of Apple who charges you more to repair any of its products them it even costs them to make, have nerve to say QC is charge too much. QC has a right to charge whatever they feel their tech is worth. You sit there an say Apple can, so why act anyone else. As long as QC isn't breaking any laws and just because Apple says they are, that doesn't mean they are. But that's how you act. Its really tiring and its complete stupid and ignorant for you to act that way. I made a huge effort to read your message (you should really fix that Samsung keyboard, because it's been broken for years now). 1. When a party affects the consent of the other contracting party by misrepresentation of the truth (in this case, QC asked Apple a price that had nothing to do with the value of the part but to the value of the final product), the second party is entitled to stop paying and take the first party to court for damages and to void the contract; THAT IS A LEGAL MEASURE! I did that with an office space: for the rent money I paid, it should have been in an area, it wasn't so I tore the contract and asked for my money back. 2. Apple has won cases and has lost cases; has been paid billions and pays billions in settlements or court orders; did you ever see ME (me, not other people) saying that Apple should not pay what a court orders it to pay? Have I (me, not other people) not said several times that some patents that Apple imposed on others in US (like slide to unlock) are stupid, because US patent system pretty much allows registering stupid patents?! 3. Why do you take qc side when it's clear that it's the bully here? I don't know about you, but when I bought a phone, neither Apple or Samsung have asked me how much I earned and neither set the price according to my income; what if Apple started producing 10 mil $ phones (9.99 mil $ worth of diamonds, 1k$ worth of phone, 400$ worth of parts), 5% is 0.5 mil $ that qc would get for the same chip that is in a regular 1k$ iPhone - how is that a FARE price? 4. We live in capitalism where every profit oriented private person is bound by LAW to be profitable and follow the money. We all follow the money: my company, because I must think of ways to get my clients to buy my goods; the clients, because they will go across the street, if they find a better product than mine; the employees, because they want bigger salaries, smaller days, more bonuses. This "evil" is what makes us better day by day. 5. If you don't like Apple's policy, DON'T BUY IT'S PRODUCTS; get your Samsung phone and take some pictures of some trees. The lawsuit is about Qualcomm chip Monopoly. Judge is biased as she threw out that Intel now has a Monopoly at Apple. How can a chip company that makes 12 percent margins on its chips and less than 40 percent gross margins or even less be considered a Monopoly? Intel makes over 65 percent margins. Broadcom makes even more. 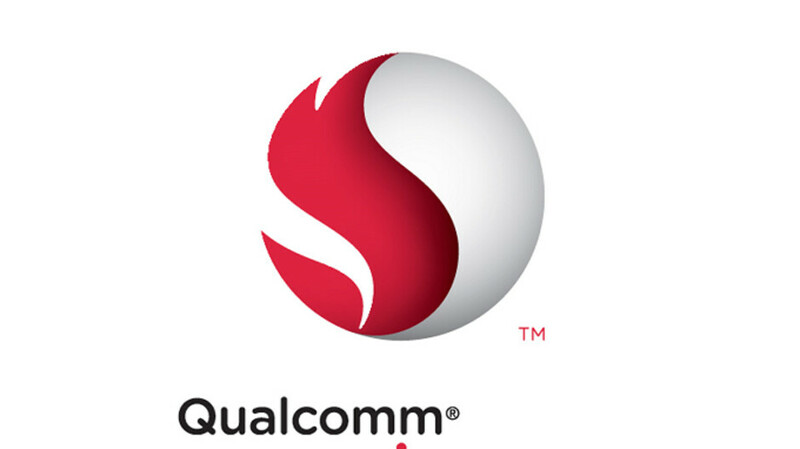 US cfius has ruled Qualcomm uses license royalties to develop core tech to develop wireless infrastructure and global standards. It gets paid less than 2 percent of what apple charges for the phone. Also Qualcomm technology extends beyond modem chips it sells. In Germany apple lost a lawsuit by infringing on envelop tracking patent . The envelop tracking tech extends across many chips some that qualcomm did not even sell. In China Apple lost as they infringed on some touch screen related tech. Qualcomm does not sell touchscreens. It licenses it's patents across many domains and has cross licenses that help late comers like Apple get access to markets. After using this clearing House facility apple wants to get greedy now.. This case is about modems. The case is about charging for patents. Modems and non modem patents. How will Koh decide what is FRAND ? On what basis. ? Who decides if Qualcomm profit is too high? Are we a commie nation. Why should then appstore app vendors sue apple that 30 percent of on app apple did not even develop is too high? There’s a law in us that states what FRAND is; the judge will decide by looking at that law. This trial is not about qc profits. There’s a difference between goods and services. Nope. Nobody knows what is FRAND. Besides pushing Qualcomm to license phone wide systems patents to individual component makers is inefficient. Even now because of other patent holders phone companies provision a portion of profits to an insurance pool. At least with Qualcomm they know what to pay. With others like Nokia Ericsson it changes with the time etc. If you don’t know, it doesn’t mean nobody knows. There are rules, legal contracts, legislation, court cases that regulate FRAND. I didn’t see Samsung taking hits after it became a tech supplier for Apple, quite the contrary, it’s even more profitable than ever. TSMC - the best financial year. Broadcom is so big it wanted to buy QC. Everybody thrives when working with Apple. Samsung supplied initial chips and it's team was taken over by apple. Samsung has it's own phone and owns display tech. Samsung did not become successful because of apple. Apple sued them ..Samsung has way more tech in many areas. The only thing that matters is that Samsung is an Apple supplier that has not been destroyed, which means that your initial statement was incorrect. Not for want of apple trying. Samsung too big for apple to ignore. But apple is out to get Intel modem on the cheap now. Apple is capable to buy Samsung with cash. Netflix has called apple a bully and has deactivated ios activation. So appstore can charge 30 percent on content that Netflix spends billions on which apple has done nothing other than give a display to, but Qualcomm cannot charge a few percent for actually creating the technology that makes a phone work like modems, airplane mode, envelope tracking, and 100s of thousands of innovations that make the phone. Netflix calls everybody a bully (google too). Why? Don't you remember when Obama reversed Samsung's ITC win and refused to ban the iPhone "import ban"? This time around the USITC, despite having found Apple infringement and perhaps afraid of Apple's political clout, refused to issue an "import ban" again on "public interest" ground. Although the case has been appealed and ITC is reconsidering the punishment, do you not see the problem here? Burn this company! Asking more royalties to apple than any other garbage android phones is stupid. You are wrong. License fees are set at $400 even. Typed on Android phone. There is no doubt that some aspects of Qualcomm's licensing, (eg, no licensing to OEM makers) is clearly illegal. I'm not however convinced of the legality of Apple's "rebate" for exclusivity. Based on my reading of Qualcomm's counter-suit, it's clear that it was Apple who proposed the exclusivity and Qualcomm merely acquiesced to Apple's demand. While Apple is certainly a big customer, no other customers were "forced" into this arrangement -- this is not Qualcomm's usual licensing practice. Apple is the only one benefitting from this and crying afoul. I'm willing to wager that Apple had set this up to get Qualcomm in trouble with regulators. If this is indeed illegal, both Qualcomm AND APPLE should be punished for colluding, not just Qualcomm. Literally from Phone Arena to every USA official are sucking apple's juice. Good luck ever getting justice in USA when it comes to Apple. Funny how in Germany Apple was found guilty but never in USA. Apple was also found guilty in Italy. In EU. Several Asian countries. Several Middle east countries. But magically never ever in USA.